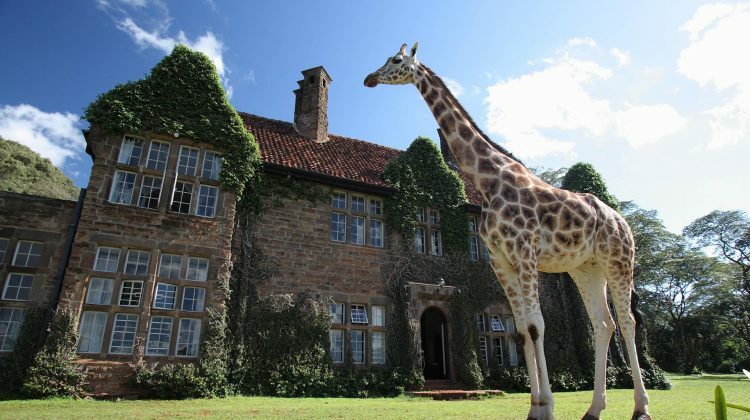 Recently featured on the BBC’s ‘Amazing Hotels: Life Beyond the Lobby’ series, Giraffe Manor is more than a lovely Kenyan hotel. 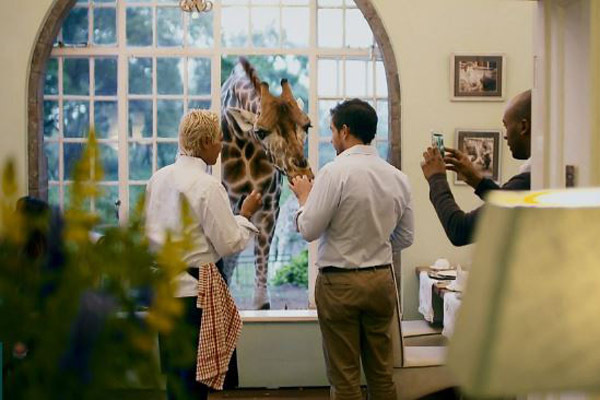 Sharing your breakfast coffee and eggs with a Rothschild giraffe is one of Africa’s more unusual experiences but stay a night or two here and that’s exactly what you can expect. 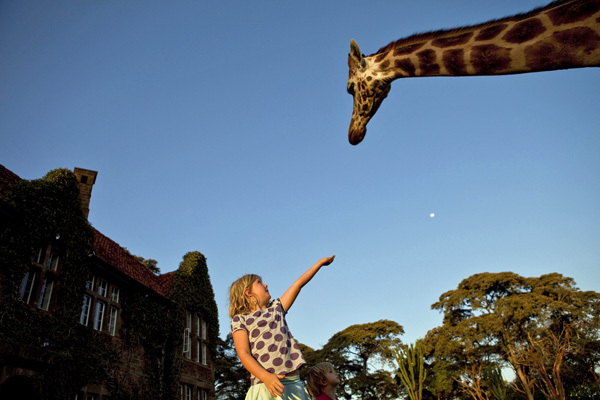 You don’t even have to leave your bedroom as the world’s tallest animals will happily poke their noses through upstairs windows to take pellets straight from your hand. What types of giraffe are there? The manor is home to a herd of around 12 Rothschild giraffe – one of the most endangered of the giraffe sub-species, with only several hundred in the wild. These graceful animals roam freely around the grounds, often visiting the hotel, poking their noses through the doors and windows in search of a treat. They are still wild animals so their appearance cannot be guaranteed but curiosity and the desire for an easy snack usually wins the day. Behind the stately façade there are ten double rooms and two family suites. Each room has its own distinct personality and all are decorated with elegant furnishings and art deco features. 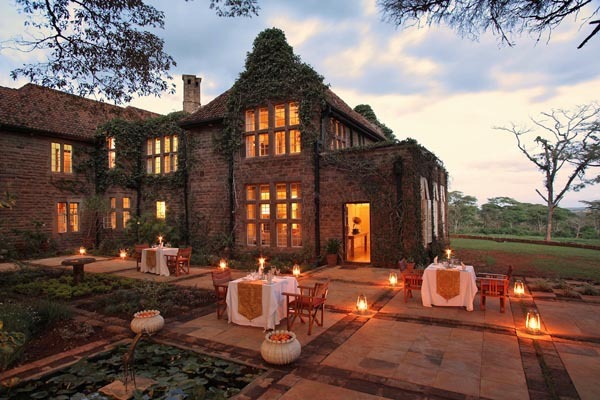 One contains furniture originally owned by Karen Blixen ‘Out of Africa’ fame. 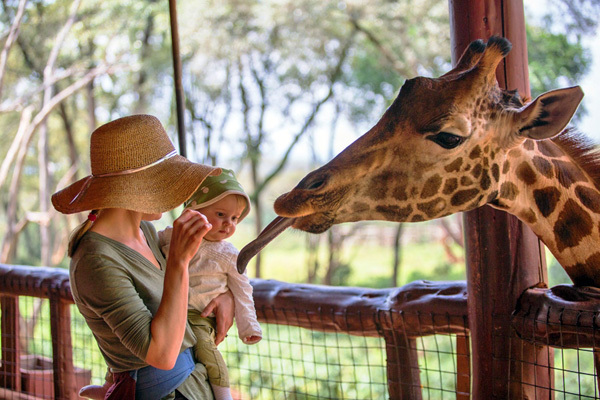 It’s not possible to just visit the hotel, but you can visit the Giraffe Centre, run by the African Fund for Endangered Wildlife, which is in the hotel grounds. The giraffes will amble right over to you to snack on pellets from your hand. 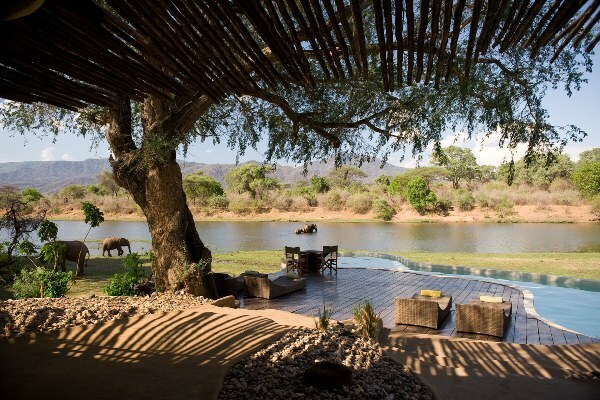 This wonderfully unique hotel has drawn a range of famous visitors including Ewan McGregor and Charlie Boorman, Richard Branson, Brooke Shields and Mick Jagger. The house was built in 1932 by Sir David Duncan. 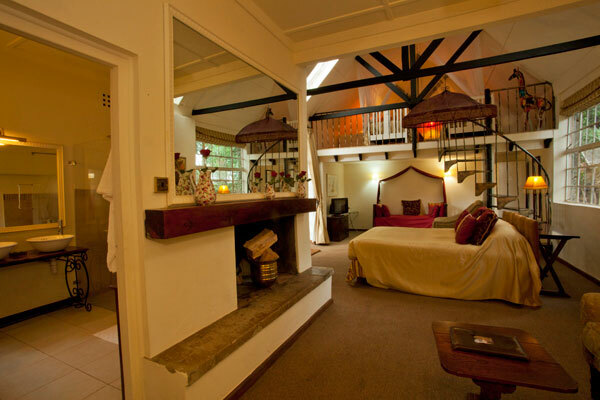 It is set in 12 acres, within 140 acres of forested land, in the Karen district just eight miles from Nairobi’s city centre. Modelled on a Scottish hunting lodge it had various occupants until the 1960s when it fell into disrepair before being bought and restored by Betty and Jock Leslie-Melville in 1974. 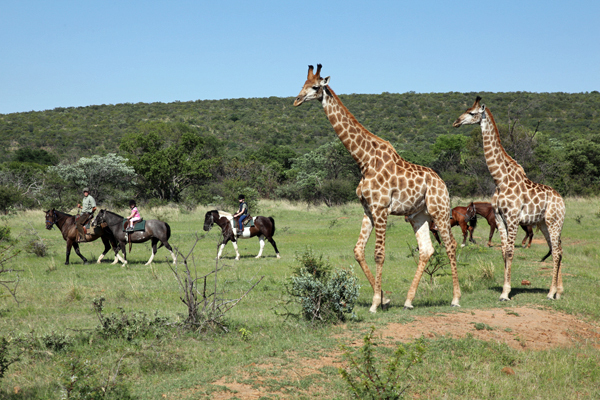 Already home to three Rothschild bull giraffes, the Leslie-Melvilles agreed to re-home two further individuals displaced as a result of a land sale in the north of the country. From here they started a breeding programme to expand the gene pool and re-introduce these magnificent animals into the wild. It wasn’t until 1984 that the manor opened its doors as a hotel and today the property receives guests from all over the world. 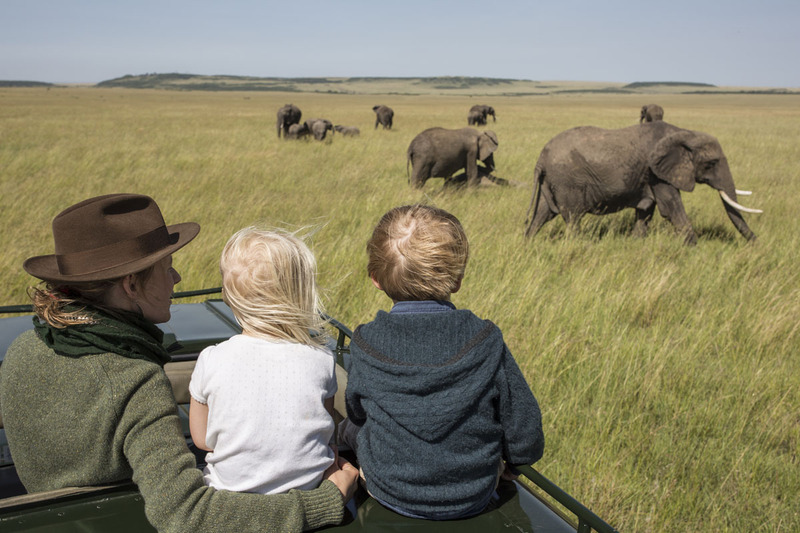 Giraffe Manor is currently owned by Tanya and Mikey Carr-Hartley and is part their Safari Collection portfolio of luxury Kenyan lodges including including Sala’s Camp in the Mara and Sasaab in the Samburu. 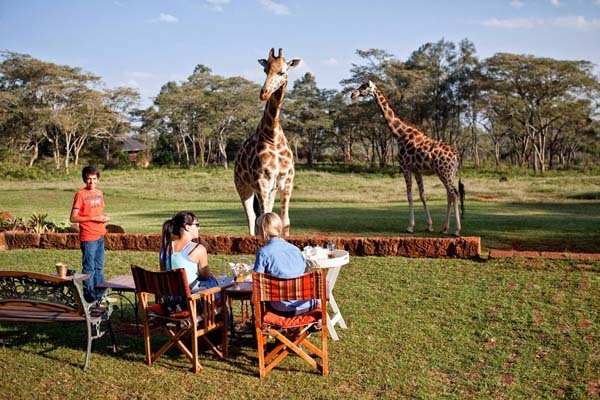 From £445 (US$550) per person per night. 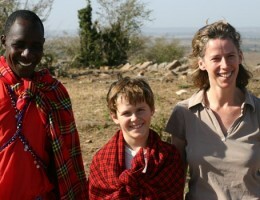 Hi, I’m planning to go to Kenya in October to do charity work and it has been my dream for many years to visit your hotel. Is it possible to visit your hotel for a meal on one of my free days?